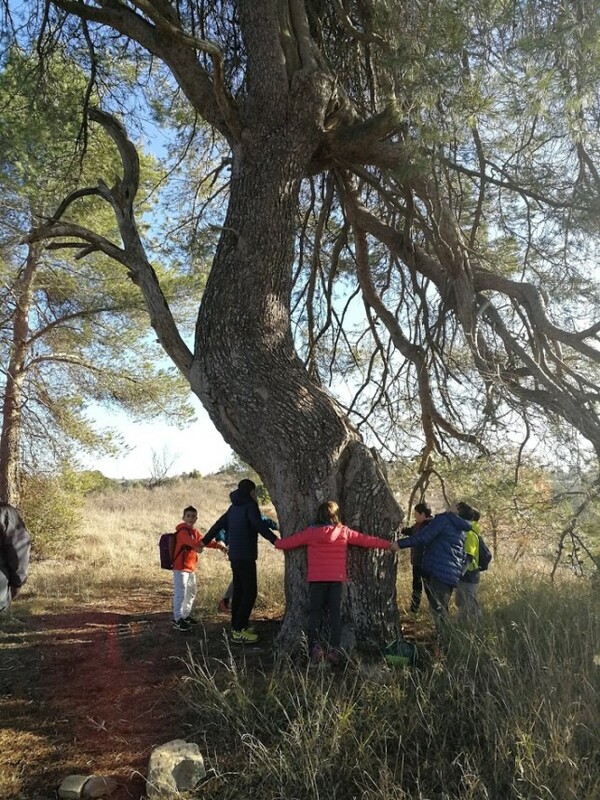 On Tuesday, the 9th January, we have gone to Pi del Quildo, a giant pine tree 2,5 KM far from Copons. We have walked up the mountain, we have had breakfast, we have pushed a wall and we have walked down the mountain. We have walked up the mountain again and we have taken some photos. Six of us have returned to Copons running and the rest walking.